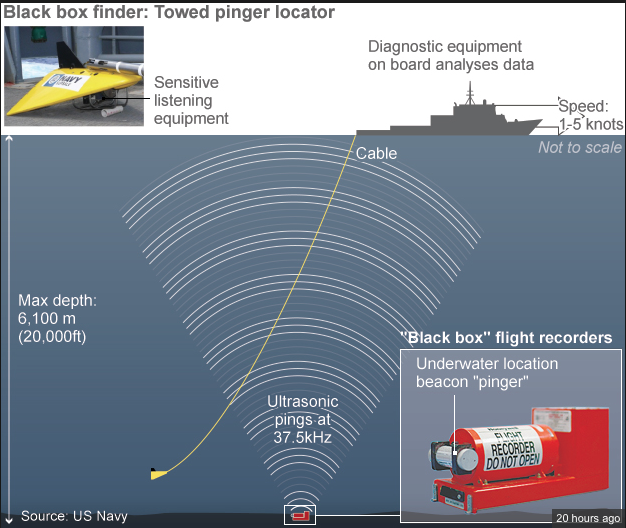 A towed pinger locator is a device used to locate the sonar "ping" from the “underwater locator beacon” fitted to the black boxes. 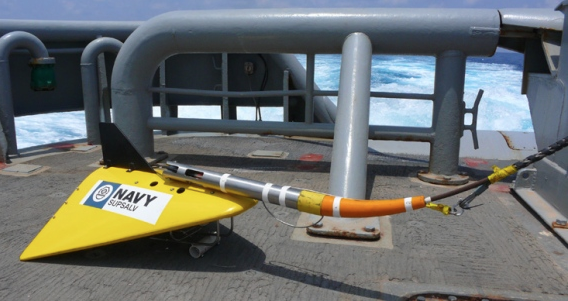 It has hypersensitive hydrophone that can detect very low acoustic pulses (3.5 kHz and 50 kHz) from the maximum depth of 20,000 feet underwater. It is towed by a ship via 18000 m cable at a speed of 1.5 knots.